Is This the Future of Boating? Ever wonder what boats of the future will look like? While most manufacturing companies fervently stand by producing timeless, classic designs, there are a select forward-thinking few who are pushing the boundaries of yacht design. Where handcrafted woodworking style is replaced with solar panels and carbon fibre. These sci-fi inspired vessels utilize some of the latest and greatest in sustainable, cutting edge technologies. The Solar Sailor glides across the water on this axiom, fueled by the sun and its boundless energy. 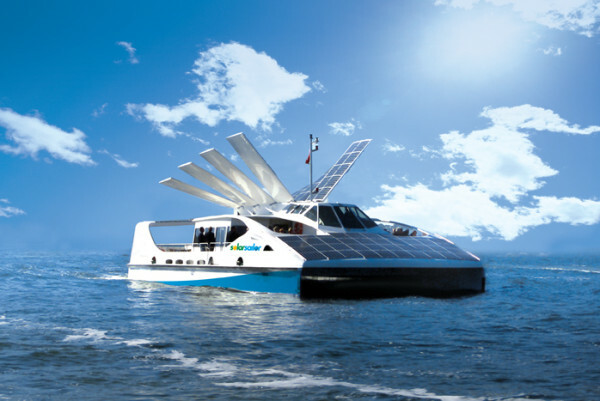 Solar Sailor is not just one cutting-edge catamaran, but a series of ships powered by Solar Sailor’s system. This boat is also powered by the sun, but with an assist from the fruit of the earth. EarthRace is a boat built to speed across the planet fueled by eco-friendly biodiesel. Oculus– in latin, the eye. In this case, the “eye” in this yacht’s nomenclature is centered on the grand eye of the dolphin that inspired this design. 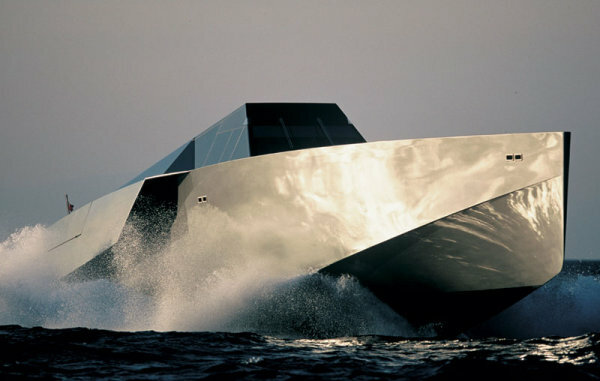 Ride the waters on this one, you’re either a Bond villain or a mad scientist. The Wallypower 118 Yacht is an aggressive, angular poweryacht with the most progressive design on this list. The Eden Motoryacht is only typical in it’s size and function, it’s design is as organic and progressive as it comes. From bow to stern, head to toe, the Eden Motoryacht carries it’s passengers in ultimate sea-friendly style. Is this the future of boating? And are you ready? We want to hear from you!